So, you'd like to purchase a 'Longthorne'? 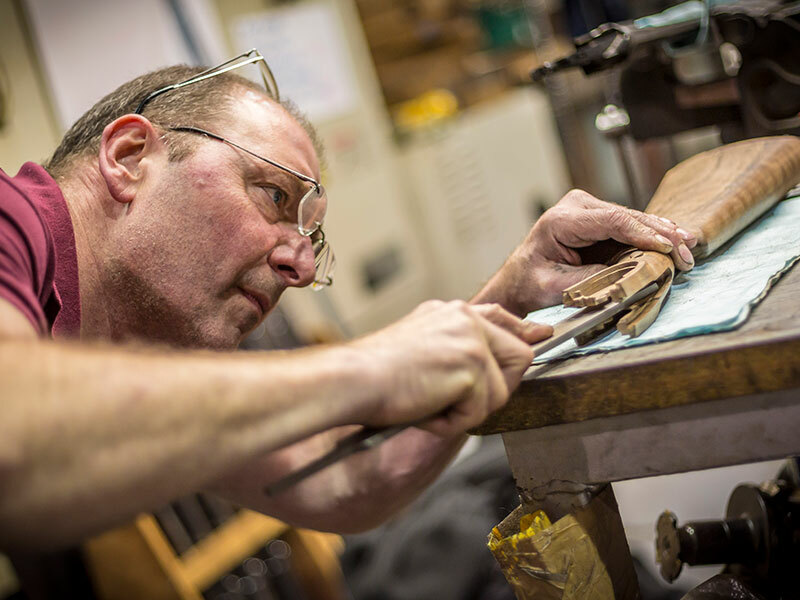 Your journey usually begins with a visit to our Northampton factory. 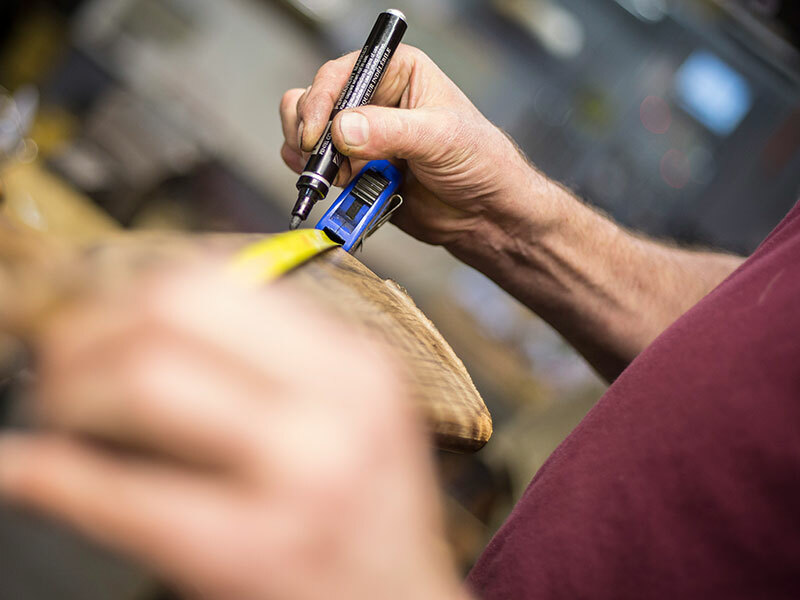 We'll show you around and discuss with you your preferences of barrel length, choking, stock and forend shapes, choice of wood and engraving design and We'll then complete a specification sheet and do some costings for you. 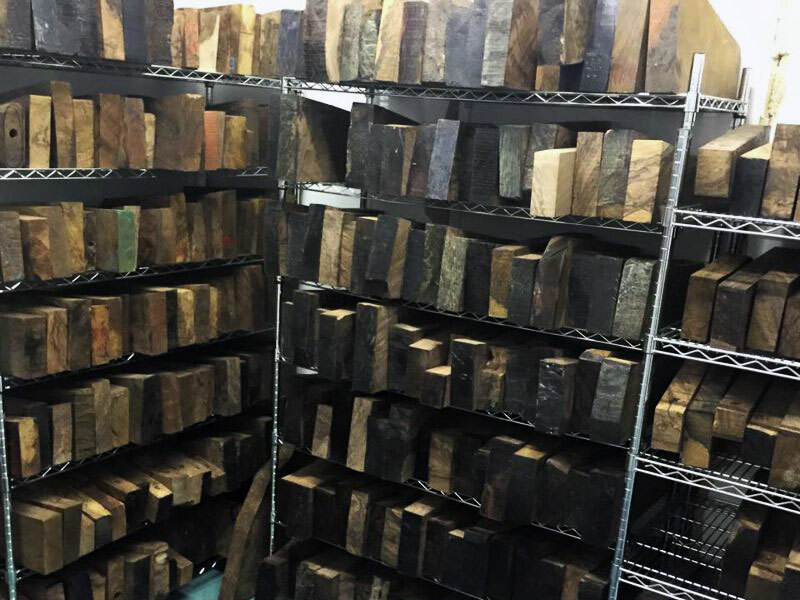 We'll also take some rough stock dimensions and if you wish you can choose your wood, we have around 700 pieces so plenty to choose from. Your spec sheet will be emailed or sent to you to approve before we send you an invoice for the deposit (25-35% depending on specifications). 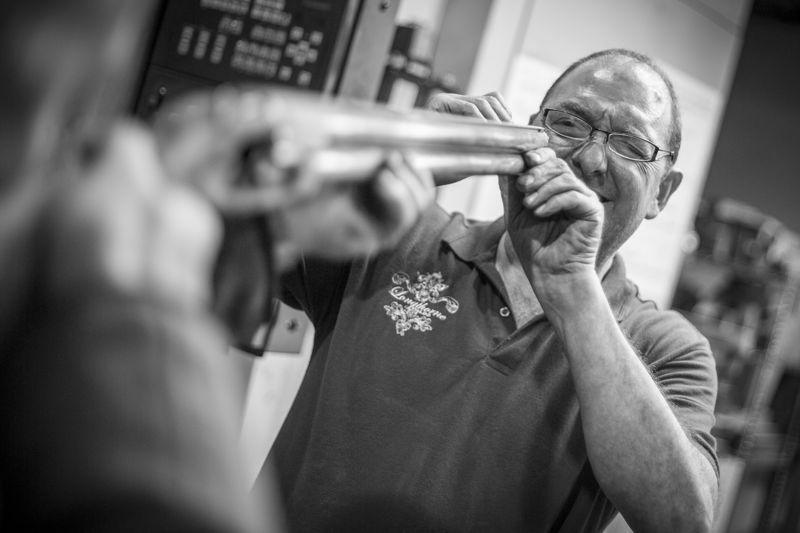 Once this is received we start on the component parts of your gun and if you have decided on personalisation or a bespoke engraving design our Artist will start work on the design after having taken a brief from you. We are able to engrave anything at all. Some designs are very detailed and can take longer than average especially if we have several bespoke designs in progress at the time as Chloe, our Artist has to design these and they are all very individual. When your barrels and action are made they then have to go for proofing which is done at The London or Birmingham Proof house, magnum steel proof with our standard fixed chokes, of course , the fleur de lys symbol stamped onto the barrels is 'proof' of this. The next stage is to black the barrels, complete the engraving and start fitting the gun together, at this point you will be invited for a final fitting, which takes around 1-2 hours, we prefer to do this if possible as it assures that your finished gun will shoot where you are looking and is a perfect fit every time, providing you mount the gun in the same way each time. For overseas customers this is not always possible so we are able to work from a set of measurements or a stock from another gun which fits you correctly if you are not able to visit. Your stock is then checkered and finished and fitted to the assembled gun and we drop you a line to let you know it is ready and send you a final invoice for approval. The process usually takes around 9-10 months but this is only an estimate, we try our best not to take too much longer but circumstances sometimes dictate particularly with new models and personalised designs, we prefer to take our time and create a perfect gun. 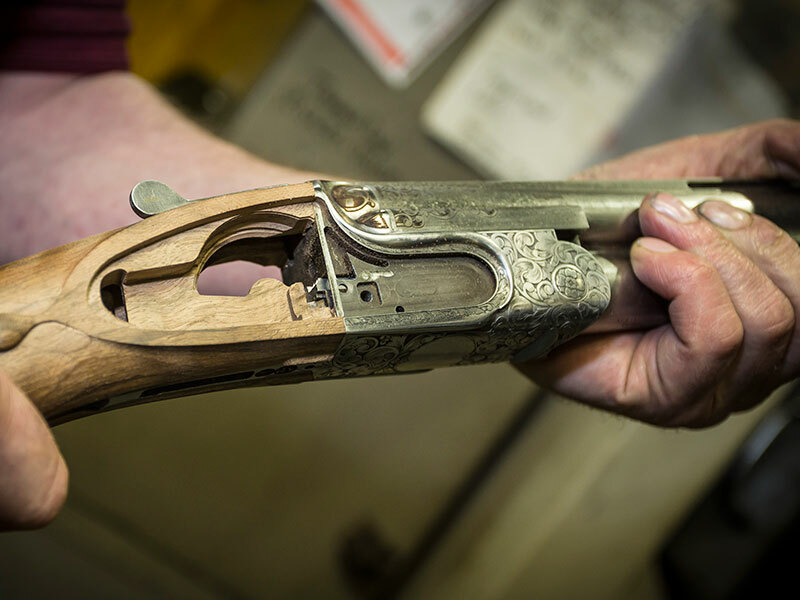 if you are looking to dispose of your current gun prior to purchasing a Longthorne gun, speak to us, depending on the gun we may be able to offer a price for it.